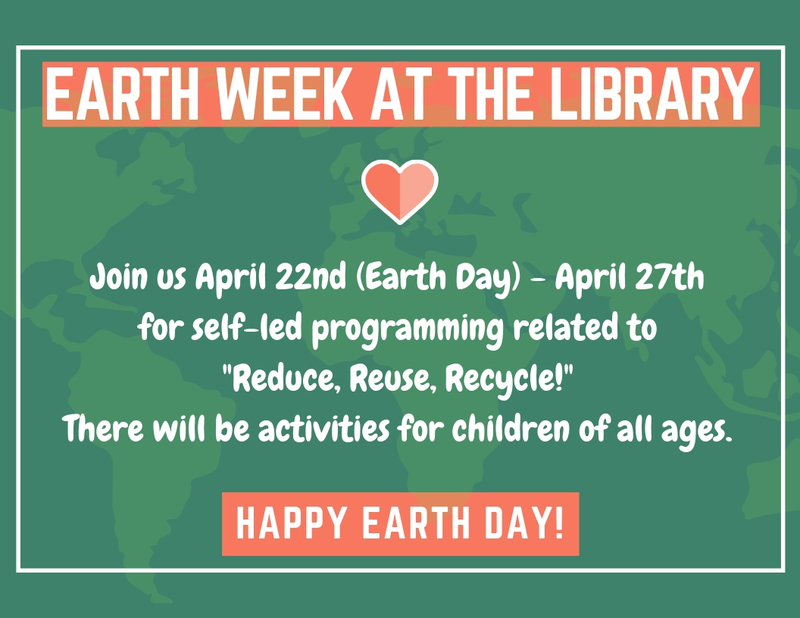 Celebrate Earth Week at the library by visiting the Children’s Department for some self-led programming. We’ll have activities for children of all ages! Then don’t forget to join us Saturday for Clear Lake’s Earth Day Outdoorfest with lots of additional activities and story time!